Picture taken on February 13th, 2007. 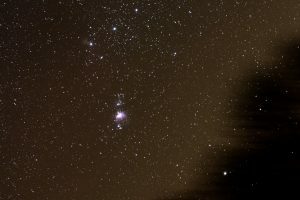 Orion constellation! Well, just below Orion’s belt :). 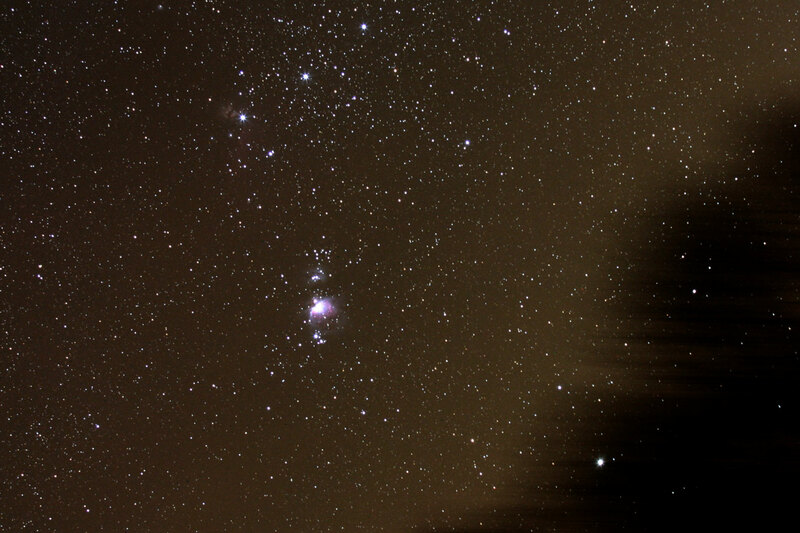 We can see Orion’s nebula (the most notable in the photo) also known as M42. Little above Orion’s nebula is Running man nebula (NGC 1977). Three most notable stars in the line form the Orion’s belt. If we pick left star from the belt and go little above, we can see the Flame nebula (NGC 2024). Little below flame nebula is very faint Horsehead nebula also known as Barnard 33 (B 33), witch is part of the optical same red nebula IC 434.